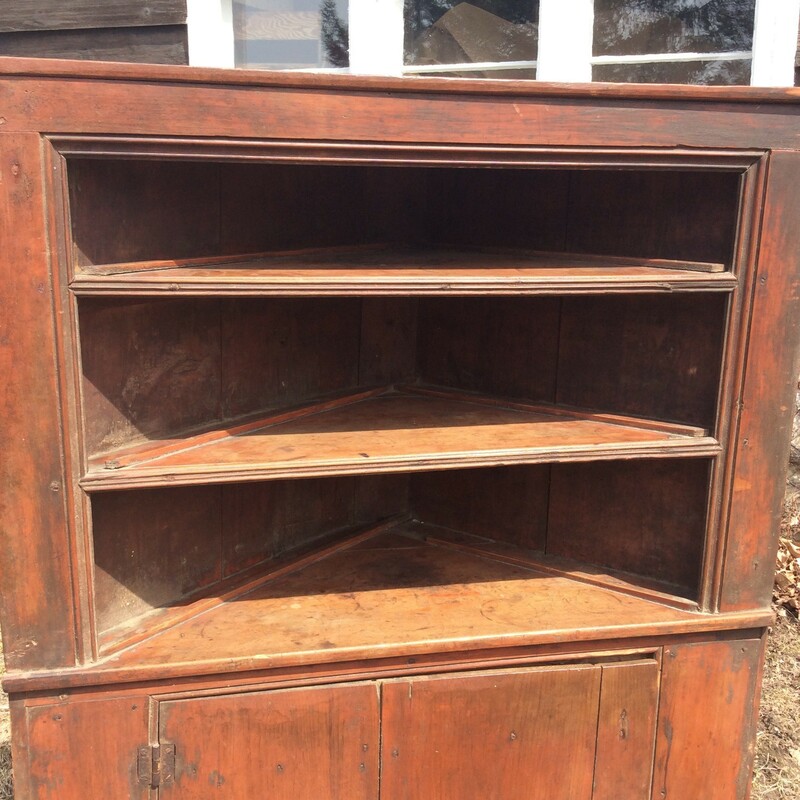 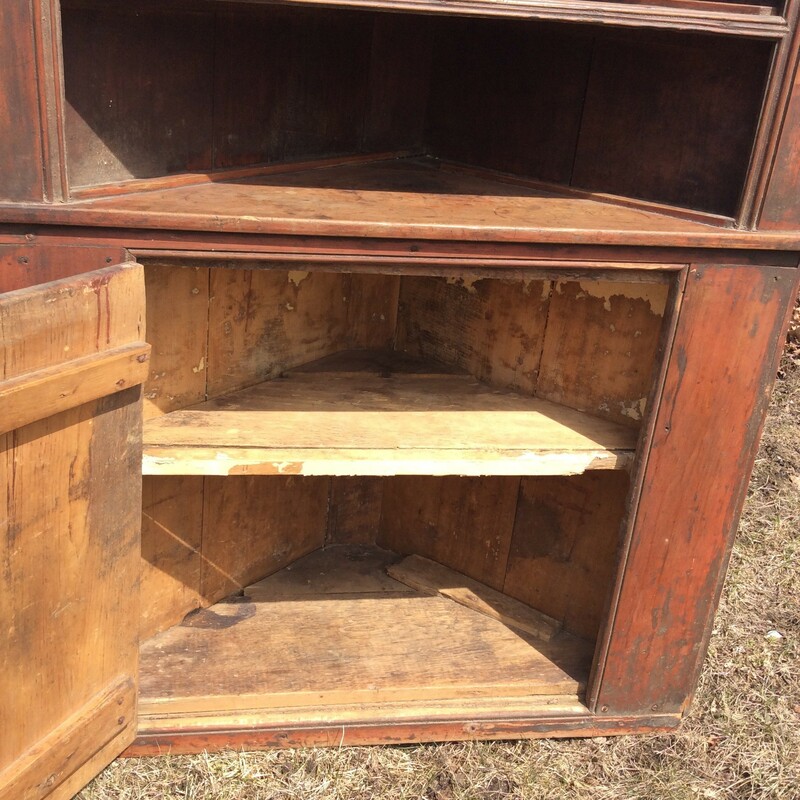 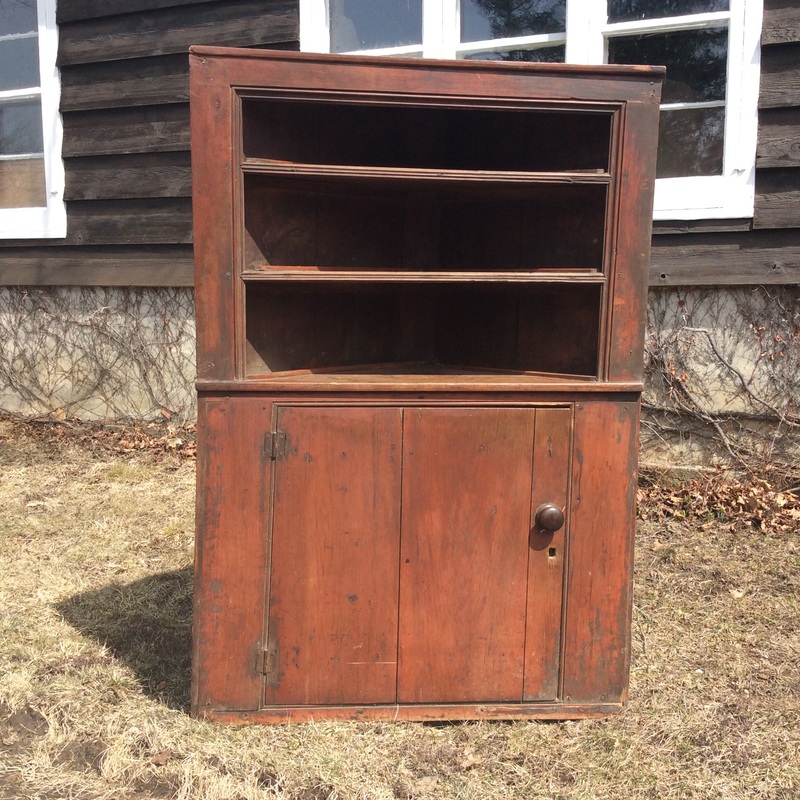 This is an all original corner cupboard from Eastern Ontario - original red wash, forged nails and really cute! 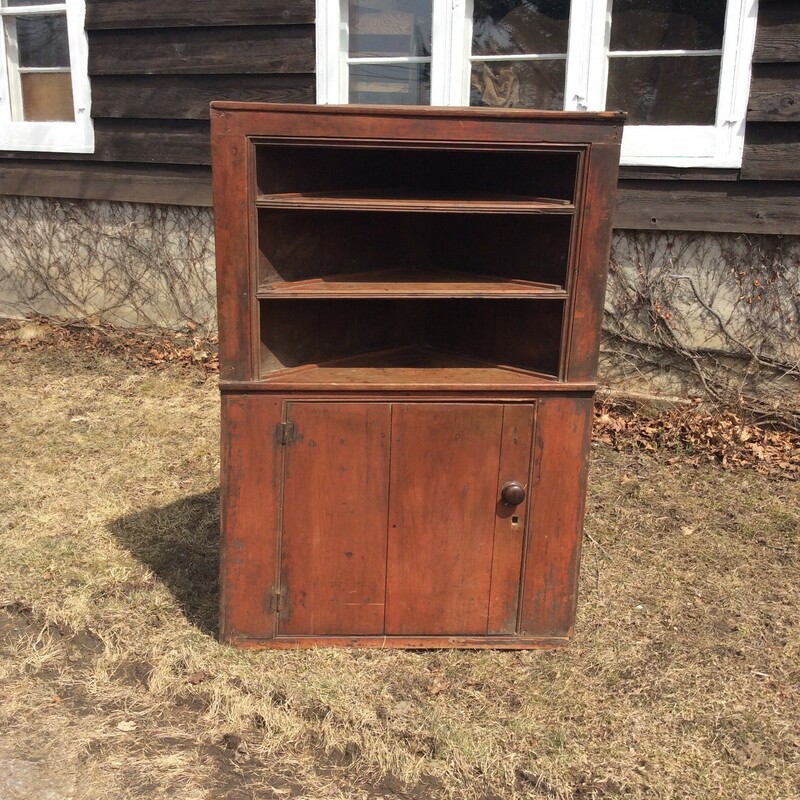 From Walter Kabol Estate. 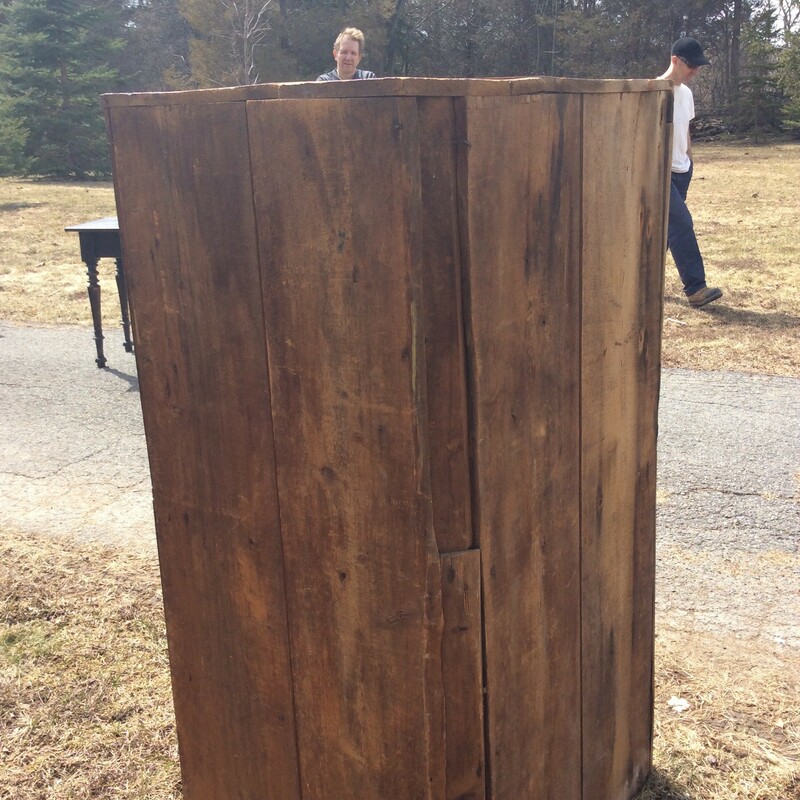 Height 60" x Front Width 33" x Side (Back) 24"